OPPORTUNITY KNOCKS! 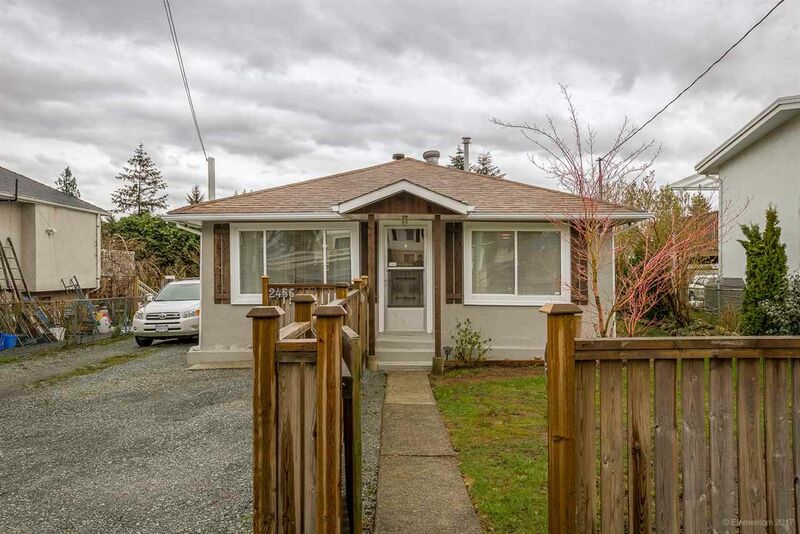 This completely renovated rancher is located in Central Coquitlam, steps away from Mundy Park, main transit lines, schools and shopping at Austin Station. This is the perfect home for first time homeowners and downsizers that do not want strata or invest for future development. No easements/right of ways or oil tank on the property. 50.75 X 120 flat lot with south facing backyard. All new plumbing , gas lines to your fireplace and stove, double glazed windows at the front, entertaining size covered patio, vinyl plank flrs, kitchen & bath plus all new drywall/paint. Double detached garage w/220 wiring, three pc bath and extra storage.